A party or celebration is not complete without alcohol – and for many of us, that means beer. When it comes to our favorite beers, I’m sure Heineken, Guinness, and Tiger are not far from the top of the beer drinker’s list. Yet, some of us may not know that all these brands are produced by the same company in Malaysia: Heineken Malaysia Berhad. Heineken Malaysia is the largest alcoholic beverage company in Malaysia and distributes some of the most popular beer brands in the country. The company was founded in 1964 as Guinness Malaysia Limited. After a merger in 1989 with Malayan Breweries, the company was renamed Guinness Anchor Berhad. The merger saw GAPL Pte Ltd — a joint venture between Asia Pacific Breweries and Diageo plc (a British multinational and one of the world’s largest alcoholic beverage companies) — become the major shareholder in the company. In 2014, Heineken N.V. acquired Asia Pacific Breweries and, in 2015, Diageo plc’s stake in GAPL Pte Ltd. Heineken N.V. became the controlling shareholder of Guinness Anchor Berhad and in 2016, to better reflect its corporate branding, changed the company’s name to Heineken Malaysia. With a long heritage and strong support from its parent companies, the company has served the Malaysian public for many decades successfully. The company has been listed on Bursa Malaysia (then the KLSE) since 1965 and has returned 185% in capital gains over the last 10 years. Those are certainly impressive returns and it’s easy to think one might have “missed the boat” on Heineken Malaysia. But here are seven reasons why the company is still worth a look for investors today. Valuable brands. Heineken Malaysia currently has a portfolio of 11 key brands including popular beer brands like Heineken, Guinness, and Tiger. Its key brands are among the top-selling beers in Malaysia. Moreover, the company continues to grow its portfolio of brands and now also distributes other brands like Paulaner, Kirin Ichiban, Anchor, Strongbow, Smirnoff Ice, and Anglia Shandy. Strong support from key shareholder. Although Heineken Malaysia is a public listed company, it is effectively controlled by Heineken N.V., a Dutch company that is the second largest brewer in the world. Heineken N.V. manages a portfolio of more than 250 brands which it sells to more than 70 countries. Compared to the 11 brands that Heineken Malaysia carries at the moment, there is still a huge runway for the company to grow its product range. Organic growth. Heineken Malaysia currently has a market capitalization of around RM5.2 billion (as at 21 April 2017). This makes it a blue-chip company and the company has been able to grow to this size without significant dilution to its shareholding; Heineken Malaysia’s outstanding share count has not increased much over the past 20 years. This demonstrates the success and stability of its business as it has been able to grow mostly organically over the past decades. Duopolistic industry. The brewery industry in Malaysia is dominated by two companies. Heineken Malaysia is the market leader with a 60% market share of the local market. Its closest competitor is Carlsberg Brewery Malaysia Berhad which distributes popular brands like Carlsberg, Asahi, and Corona. The two companies share strong similarities: Carlsberg Malaysia also has a long history as a listed company on Bursa Malaysia. Likewise, it is a subsidiary of Carlsberg A/S, a global alcoholic beverage powerhouse. However, unlike Heineken Malaysia, Carlsberg Malaysia has a more international business as it distributes to both Singapore and Brunei. Carlsberg Malaysia also has a stake in Sri Lanka’s largest brewery, Lion Brewery. Together, Heineken Malaysia and Carlsberg Malaysia are a de facto duopoly in Malaysia’s brewery industry. This duopolistic nature gives the two companies stronger pricing power over its suppliers and customers as they control most of the supply in the market. High-margin business model. Based on its most recent annual report, almost half (49%) of Heineken Malaysia’s revenue comprises of excise, custom duties, and sales tax. This is collected on behalf of the Malaysian government. Operating expenses include raw material and packaging cost (7%), depreciation and amortization (3%), staff cost (5%), and distribution, sales & administrative expenses (17%). After deducting its income tax, Heineken Malaysia achieved a net profit margin of 15% in 2016. The breakdown gives us a good understanding of how sales and costs are distributed within its business. Apart from excise, custom duties, and sales tax, the cost of producing its products is low compared to its selling price – which is why the company is able to enjoy a very healthy double-digit profit margin. Strong track record. The company has generated great returns for shareholders over the past decade. Since April 2007, the share price of Heineken Malaysia has increased from RM6.05 to RM17.30 per share (as at 21 April 2017). That is an annualised return of 11%, without accounting for dividends. Over the past decade, Heineken Malaysia has been a great dividend distributor by paying out a large portion of its profits yearly. This is certainly an attractive point for a dividend investor. The management is watching the development of the global economy. Dampening global demand may have an impact on consumer spending in Malaysia. In its most recent quarter, Heineken Malaysia has seen its revenue decline indicating that consumer spending might already have started declining. There has been an increase in regulatory requirements which could increase the company’s operating cost significantly. Indirectly, it might contribute to an increase in contraband products as well. Both factors are extremely damaging for the business. The weak ringgit is a cause of concern for international investors and the company. Given that most of its raw materials are imported, the weak ringgit will only lead to an increase in costs for the company. Heineken Malaysia has been a great investment for many of its long-term shareholders. However, the past might not always be representative of the future. The company is facing some headwinds and it currently trades at around 21.8 times its TTM earnings. Its current dividend yield is about 3.08%. Although the valuation isn’t excessive, it is nowhere near the bottom of its valuation range. So while this may probably not be the best time to invest in Heineken Malaysia, it is one company many investors should consider placing on their watchlist. Stanley Lim has spent the last decade in the investment industry with a focus on Asian equity markets. 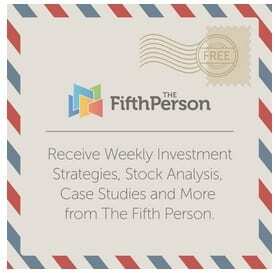 He has written close to 2,000 articles featuring his investment analysis, opinion, and education. Stanley is also the co-founder of ValueInvestAsia.com, a website that provides Asia-focused investment data and information to investors. Personally, Stanley is a father of three and believes that financial literacy is a key component of the solution to ending global poverty.